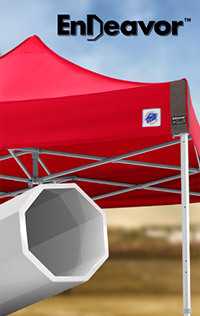 Heavy-Duty stakes easily attach to the portable shelter leg with quick release pins to provide extra wind protection. 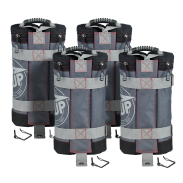 Keep your E-Z UP® Instant Shelter® grounded and secure with a set of weight bags. 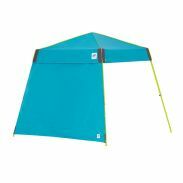 Each bag holds 11.3 kg (25 lbs) of sand and attaches securely to each shelter leg with unique quick attachment straps. Available in four NEW fun colours. Transform your shelter into an exhibit area with E-Z UP railskirts. 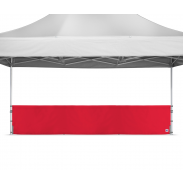 They consist of premium steel crossbar hardware with a locking center support leg and are covered with professional grade fabric and quick attachment straps. Our improved design now makes set-up a breeze with a finger friendly push button release action. Set-up and take-down has never been this easy. 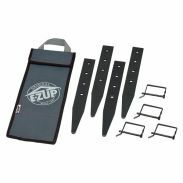 E-Z UP 3m (10') Duralon Sidewall Pack with Sidewall Truss Clips for Easy and Fast Attachment to Your Shelter*. Perfect for privacy, security, and shade. 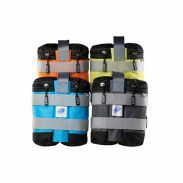 Pack includes 1 mid-zipper sidewall and 3 standard sidewalls. Our Improved design now makes set up a breeze with a finger-friendly push-button release action. Set up and take down has never been this easy. 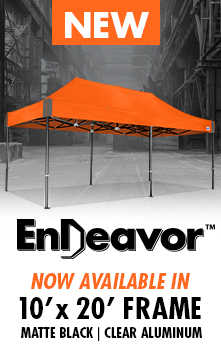 Enhance your shelter with E-Z UP® Endeavor™ Sidewalls. 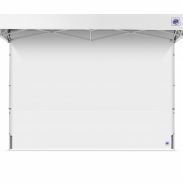 From one sidewall as a backdrop, to a fully enclosed shelter with four sidewalls, you can custom order what is right for your intended use. 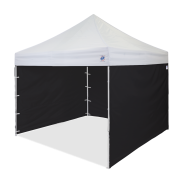 The perfect solution for outdoor use on hard surfaces. Weight bags hold 20.5 kg (45 lbs.) 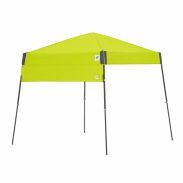 of sand per bag and attach securely to the leg of your shelter. 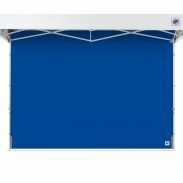 Professional Railskirt Fabric 4.5 m (15'). Hardware not included. 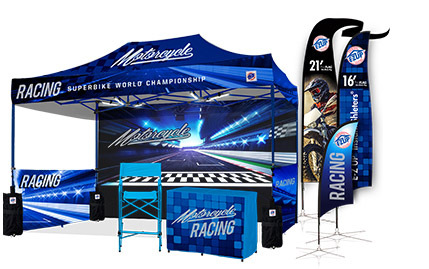 Transform your shelter into an exhibit booth with 1.0 m (38") high railing of polyester fabric. 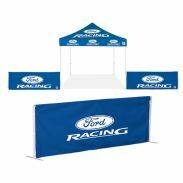 Railings stand alone or attach to the shelter legs to form your marketing space! 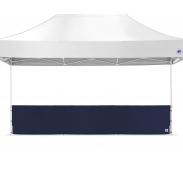 Sidewalls create instant shade, instant protection and instant privacy. 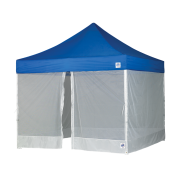 Attach one Sidewall for extra sun shade and wind block or create a fully enclosed shelter with four Sidewalls. 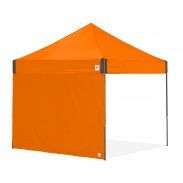 Available with NEW colours and upgraded features that coordinate perfectly with our recreational E-Z UP® Instant Shelters®. Professional Railskirt Fabric 3.7 m (12'). Hardware not included. 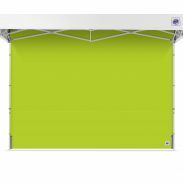 A Half Wall provides extra shade when the sun is lower on the horizon. 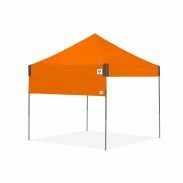 Available with NEW colors and upgraded features that coordinate perfectly with our recreational E-Z UP® Instant Shelters®. Professional Railskirt Fabric 3.0 x 3.0 m (10'). Hardware not included. 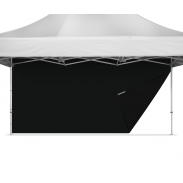 Enhance your shelter with E-Z UP® Sidewalls. 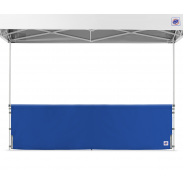 From one sidewall as a backdrop, to a fully enclosed shelter with four sidewalls, you can custom order what is right for your intended use. 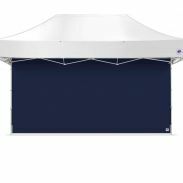 Professional Railskirt Fabric 2.5 m (8'). Hardware not included.